HaXplore Hackathon is onsite event of Codefest. Codefest is the annual coding festival organized by students of IIT (BHU) Varanasi. With a plethora of events covering all disciplines of Computer Science, Codefest has received immense appreciation and respect in the past. Events of Codefest have been conceptualized keeping in mind the recent trends in Artificial Intelligence, Mathematics in addition to the conventional Competitive Programming and Application Development events. This year, we aim to step forward and carry on its legacy by introducing more innovative and challenging events. Competitive Programming Workshop using C++14 was organized for students studying at ABES Engineering College followed by a programming contest of 2 hrs in order to make the students familiar with Competitive Programming. Hello Android is a part of Android Application Development (AAD), a series of android workshops to help students learn basic Android programming concepts and build a variety of apps, starting with Hello World and working the way up to apps that schedule jobs, update settings, and use Android Architecture Components. It is a 2 days workshop, targeted especially to newcomers to get them started with Android App Development. The workshop includes hands-on session for Android studio also. Since this a very well known event among open source enthusiasts and contributors, myself, @isuruAb , @CloudyPadmal are planning to attend this event as speakers and we are planning to do a speech related to our experience as GitHub Campus Experts, there will be many campus experts attending this event as there was last year. Hack And Learn is an InfoSec Meetup group with an emphasis on practical learning for IT Security Professionals and Enthusiasts. I attended HAL as a student and picked up excellent pen-testing skills during our attempt to capture the user and root flags. Universities have highly talented undergraduates. They often focus on acadamics and they miss great opportunities passing by. Google Summer of Code program is one of them. This program requires a student to participate in a extensive coding program for three months. Colombo Flutter Meetup is Sri Lanka's first flutter meetup series, started and initiated by me as a GitHub Campus Expert. We are planning to host the first ever flutter meetup in Colombo this March. A workshop was organized for the students of Kanpur Institute of Technology, Kanpur where we introduced them about Open Source, Git and GitHub. The attendees were first and second year computer science students who had little to no idea about Git and GitHub. We also told them about GSoC and other open source programs, how they can contribute to open source projects and how it will help them in their career. Git is a distributed version control system for tracking changes in source code during software development. It is essential to be familiar with Git when it comes to contributing to any open source project. This workshop introduced the participants the much-needed skills which they can apply immediately along with learning how GitHub works and how they can manage a project collaboratively using GitHub. The highlight of the RGU Computing Society’s year is the annual Hackathon: a 24 hour programming competition which brings together students from across Scotland for a weekend of developing, workshops, sponsor networking and fun. The Computing Society has been hard at work over the past 6 months, to pull together the resources to bring the event to life. 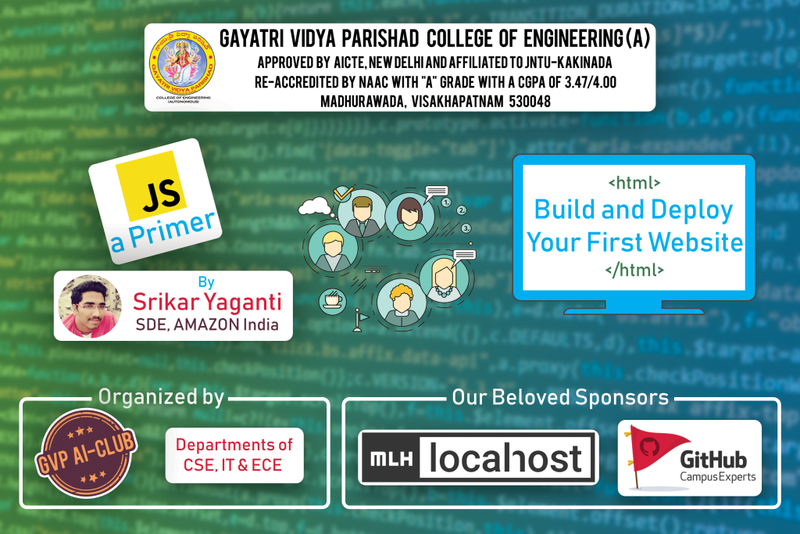 PyDay 2019, a Python workshop for the students of IIT Dharwad which targeted both novice and experts. The workshop was organised in 2 days as Beginner and Advanved Sessions.In our beginner session, a simple Spam Classifier (without ML) was built during the workshop with everyone. All basics will be covered during this session. In our second session, advance Python concepts were introduced to them and.The students participation was fabulous and students were ready to stay even after midnight to know some more advance concepts. The ACM Chapter of BVCOE introduced a beginner-friendly series of Android Development Workshops, and the series was a blast as it kicked off with a huge number of participants! The students got familiar with Android Studio and learned how to develop their own Android app from scratch! This workshop is happening at ESOFT Metro Campus and I am planing to teach them how GitHub works and how they can manage a project collaboratively using GitHub. This workshop focuses recently joined (L5 2SEM) undergrads of my university. Hope to teach them how GitHub works and how they can manage a project collaboratively using GitHub. Hackatown is back in 2019! If you like to code, teamwork and make your ideas come to life then join us at Polytechnique January 19-20 to participate in this amazing competition! During the university summer break, I attended Mission Ready HQ as a student. Mission Ready HQ is a council funded programme that teaches university students/graduates about technical and business skills. At this event I was invited to give a workshop to students on fundamentals in using git and how it plays a part in a successful team environment for tech industries. 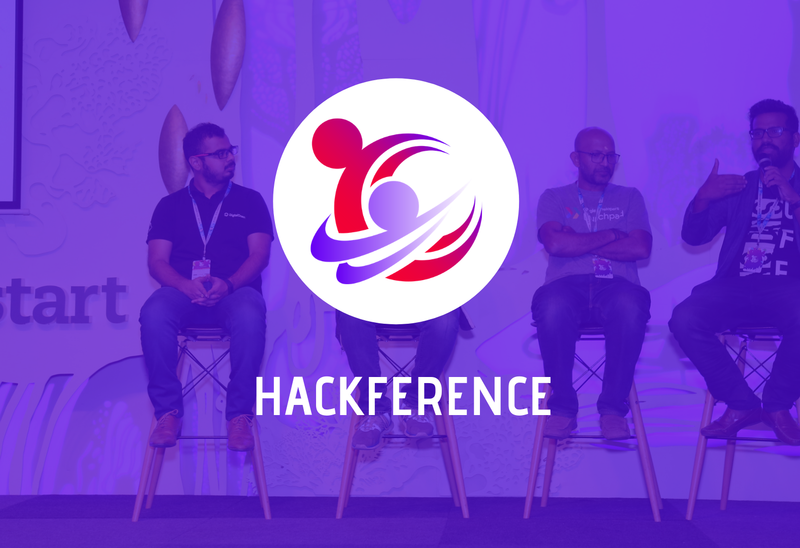 Last year on December, I had a chance to mentor and talk at one of India’s largest open source event, Hackference. The entire event consisted of DevRelConf and a general Hackathon. This was my first time attending a DevRelConf, and you might be wondering “what the heck is a DevRelConf anyway?”. Well, the name stands for Developer Relations Conference, as it may sound the event is aimed at assimilation of developer advocates and Evangelists of multiple organizations, sharing their knowledge and experiences to help communities grow. The concept of Developer Relations is quite new, where in the name Developer Relations, Developer Evangelism and Developer Advocacy comes under a common name of Developer Marketing. Kathfest is 2 days technical festival celebrated on 13th-14th, Jan 2019 at Kathord Int’l College of Engineering & Management, Balkumari, Lalitpur. University students engage in number of projects. Many of them being group projects, they don’t seem to have in-depth knowledge on how to use proper software tools to make life much easier. The scenario is much complicated when the audience is students who are new to campus life. ‘Twas The Hack Before Finals… ~~ Major Hacking League’s Local Hack Day is coming to McGill University on Saturday, Dec. 1! Join our local tech community & 200+ other communities across 40+ countries around the world for a global 12-hour hackathon celebrating learning, building, & sharing. Join us on December 1st, 2018 for MLH’s Local Hack Day, a global hackathon and celebration of learning, building, and sharing! Whether you’re a first timer who is learning to program or you go to hackathons every weekend, everyone is welcome to participate! A global hackathon and celebration of learning, building, and sharing! Whether you’re a first timer who is learning to program or you go to hackathons every weekend, everyone is welcome to participate! Introducing university students to Git and Github so that they can efficiently use open source and make the most out of it. Target audience of this workshop will be freshmen, sophomores and Junior batch of the university. By the end of this workshop they will learn what is Git & GitHub and how they can start contributing to open source communities and technologies. GDG DevFest 2018 was annual all-day developer conference that offers speaker sessions across multiple product areas, workshops, tech talks and more! Theme this year is “Digital WellBeing” where they will highlight and discuss the tools and features that help people better understand their tech usage, focus on what matters most. Code.Jam() is an annual hackathon presented at McGill University. It is the largest engineering hackathon on campus, where 200+ students explore their technological creativity by solving real-life problems! With this year’s theme as Pattern Recognition, we are looking to push the limits of AI and see what kind of amazing projects get developed over the span of a weekend. Join us on Nov 16-18th @McGill University in Montreal to participate! University students engage in number of projects. Many of them being group projects, they don’t seem to have in-depth knowledge on how to use proper software tools to make life much easier. Lessons from hosting a hackathon for complete beginners, and why they liked it. Hackathons are fun, interactive and social gathering of like minded people who spend their time hacking together pieces of code to build something cool. For years hackathons have been known for huge cash prizes for winners. Sometimes the numbers are just humungous. Having a huge cash prize means, attracting more hackers, giving rise to a complete competitive enviroment. So here’s a question? Being a complete beginner to the entire programming thingy and having to compete with highly skilled people (There drowns half of your motivation) just to end up comparing yourself and having that thought of “Am I really cut out for this?” might always get a “nay!” from our young lads. During the workshop, participants learned the basics of GIT, understand the Git Flow, created a sample repository to play with and made their first pull request. Approx. 80 students attended the workshop. To be very honest, this is the first ever tech meetup I’ve involved in organizing from the beginning till the end. It has been really great starting right from the beginning till the end. This report contains in-detail breakdown of the entire event. Hacktoberfest is a month-long celebration of Open Source. In the Hacktoberfest meetup, students get to know how GitHub is a necessity for the developers and a hands-on session was given on the same. A total of 3 Hacktoberfest meetups were held in New Delhi, and one of them was by ACM BVP Chapter. As we all know in the month of October, digitalOcean and GitHub collaboratively organize the hacktobefest global event to uplift the open source contribution and to motivate students and open source, enthusiasts. The workshop was organized during Hacktoberfest, in which the participants learned about Open Source, basics of Git, managing projects and contributing to open source using GitHub. This was attended by 40 people. Conducted a meetup for community members to give introduction to Hacktoberfest. I also gave a presentation on how to make their first pull request to an Open Source Project with an open issue. Everyone started contributing to Open Source projects and at the end of the meetup everyone had almost made their two pull requests. Hackathons play a big role in introducing new students and developers into a fun filled competitive coding environments. They usually brings out a message to the society or get an amazing product out. Read the proposal and watch it here. This was the first initiative taken by helloHackers Soc to make its members know more about open source. Its benefits, how they can contribute how to complete Hacktoberfest in order to win a cool looking t-shirt. Having to deal with academic projects working in a team is always a mess. Passing the source code of your projects using pen-drives and Google Drive was always a pain. Well, it’s a mess because you’re not doing it right. Let’s see how softwares are built and how thousands of programmers contribute to a single codebase without losing track of things their fellow developers are working on. The Instituto Tecnológico de Mexico in Celaya will host one of the most important technological events in the region: A space for innovation and coexistence for university students capable of solving problems in our modern world through tools such as the Internet of Things , industry 4.0 and artificial intelligence. On a Sunday, 19th of August, 2018, we organized a workshop for students to learn about the advanced features of Git and GitHub. This workshop was aimed at those that had prior knowledge of the basic commands and terminologies of git but did not have any experience with the advanced features including rebasing, merging, and branching. This article was originally posted on codecaptured.com. Tired of DS_Store getting version controlled? Every Mac user has had this happen to them. You write some code, push your changes up to a repository, and that’s when it happens. There’s .DS_Store files across your repository. Hacking with Amazon Alexa at Parul University. In July 2018, Uniphyd. organised a session on Hacking with Amazon Alexa. We had close to 90 participants who all seemed to have the time of thier lives. Last week, I had a client who uses Firebase as a backend service. One of the clear issues he found himself in, is that he didn’t well design his database when he created his app the first time, which when the app grew up so fast leaded to a big amount of mixed rubbish, neither him could well analyze it nor the user was able to have a good UX (‘cuz of the big amount of unnecessary data he has to download despite the fact he needs it or no ). Leapfrog Hack is a largest Hackathon in Africa focused on the leverage of leapfrog technologies, Organized as part of the Smart Cities global investors and technology summit 2018 By CSE Club and the wilaya of Algiers. An international jury, and various business/technology mentors from various parts of the world, will be joining the events, along with the participation of global technology players, venture capital and policy makers. Hack !T is a community led hackathon organized By the Scientific Club of ESI, focused on sharing experiences building application using different technologies. Hack !T enables developers to express their creativity and focus on Coding of three continuous days. TensorFlow Dev Summit Extended with GDG Baroda. In April 2018, I gave a talk on Twitter Sentiment Analysis at a Tensorflow Dev Summit Extended with GDG Baroda. The event was a follow up event to the main TensorFlow Dev Summit and had us see new products launched with a few talks and demos on TensorFlow projects by members of GDG Baroda. In early April, I was invited to speak at an extended WTM event for an International Womens Day event. This event was to promote inclusion and diversity in Tech. This workshop was organized by Mozilla Campus club of NSBM and FOSS Community of NSBM (National School of Business Management). They organized this event to give an understanding of Git, GitHub and Open Source Software Development to the 2nd year Software Engineering students. I started studying on my free time about “Behavioral Economics” using The book written by Richard H. Thaler and entitled “MisBehaving : The Making Of Behavioral Economics” . The book is a masterpiece that I recommend to everyone who might be interested in understanding the human behaviors, and of course for those who are interested in Economics also. I was part of the organisational team for ENUSEC’s annual LeTourDuHack this year. The event saw over 80 attendees for a weekend of CTF challenges delevoped both by the ENUSEC team and out industy sponsors. Challenges covered a range of topics from programming/scripting and network analysis through to VOIP, reverse engineering, wire tapping and boot2root vms. GitHub Workshop for Computer Science Students. In early March 2018, we organised a workshop on Git and Github for CS Students at my university. The point was to introduce them to the benefits of Github and show them how Github can benefit them later on as professionals and right now as students. We had close to a hundred attendees and kept them entertained with interactive games and quizes. Smithies in CS’s Peer Mentorship Program was created to allow upperclassman CS majors to share their experiences, help students navigate the major, and just be there for support! The goal of this program is to give students someone to go to for questions about CS in general, the resources we have in the department, internship opportunities, study abroad advice, etc. Campus Party. What can I say? It was just a blowing :boom:. It was my first experience in a Campus Party event. It was amazing, really big. Stunning. I :sparkling_heart: it. The event was giant and massive. Too many content in the same time. And they were all awesome. LetMeHack is the first ever product oriented hackathon in Sri Lanka. Every team had to make one product from their prefered programming language and push those code to GitHub. Students who do not have good knowledge about Git, GitHub, learned from Mentors and Judgers. RoboThon18, the annual tech fest of Gandhi Institute for Technological Advancement, organized a Robotics competition where students from different colleges came and participated in the event. It was a 2 days long event held at Gandhi Institute for Technological Advancement. I’m so excited. The Campus Party it’s the biggest Tech Event for YouTubers, Gamers, Passionatein Computing, and whoever that loves #Tech. It has a lot of Workshops, activities, and fun. I’m so excited, I will represent GitHub Officially doing a Workshop about Git and #OpenSourcing. I hope everything goes well. More updates in the future! On the 13th and 14th of January 2018, I ran the first hackathon at Royal Holloway: RoyalHackaway.xyz. And what an experience it was !! Emisha organized an event in collaboration with Google CS First Club. This event is an attempt to bring Computer Science Education to school level students where computer science is always a secondary thing and even ignored. We took this step to spread awareness about computer science and get students to involve in Computer Science Activities. Carrying forward the legacy of LNMHacks, we hosted the second edition LNMHacks 2.0 was successfully from 11th to 12th November. Receiving an overwhelming response from 700+ participants in Elimination Round, the main event saw 60+ teams consisting of 270+ participants at the on-site hackathon. This is normal paragraph text. You can make it strong using <strong> or italics using <em>. At LauzHack 2017 I ran my first ever workshop. The workshop was aimed at first-time hackers and provided them with an introduction to what APIs are, how to use them and why they are so great! 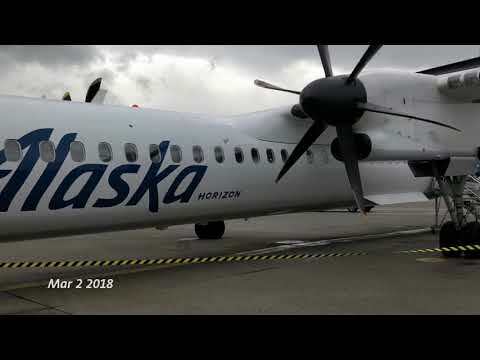 A brief technical introduction was followed with an interactive demo, where I showed the attendees how to use the Clarifai API to describe what’s in an image, and integrated this with the Twitter API to respond to images received with tags describing the image. Followed by a brief Q&A and prizes. During LauzHack 2017 we hosted the GirlsCoding mini-hackathon. This is one of a series of events organized by GirlsCoding with the aim of improving gender diversity in the computer science industry by introducing girls aged 13 to 15 years old to coding. The event included a non-technical introduction to information encoding, Python and Git, and a small project combining the three. You can see the event schedule here. I was scheduled to give a workshop introducing Git and GitHub, but unfortunately it was cancelled due to time constraints. The event was concluded by visiting the hackers participating in LauzHack. In November 2018, with the help of the GDG UNAM we organized a 3 day program to teach students of the university how to use Git & Github in order to allow them on their school proyects. The course was given at the CIA building. We expected 50 people to join for the workshop. We gave the students food and drinks during this days. ConUHacks III, Concordia University’s annual Hackathon event, will officially be open for registration Nov 2nd. To celebrate this year’s registration kick-off, students are invited to attend HackConcordia’s official Registration Launch event. You’ll meet the organizers behind this year’s amazing event and there will be an amazing community of people with similiar interests and passions to yours. In an effort to make training in the use of git and GitHub openly and easily accessible to all students at North Carolina A&T State university, I have recently published the first several modules of a custom GitHub training course. This training is meant to specifically address the needs of NCAT, while also providing a general introduction to git and GitHub that students can use throughout their career. The first part of the GitHub campus experts’ training is to write an impact proposal. My impact proposal was largely focused on ensuring future generations of organisers can effectively inherit the existing organisation and continue to make the community their own. Conducted an official Mozilla workshop on version control and GitHub. Hands on session of git commands which are commonly used. Also a talk on about how to start contributing to open source. Participants also made their first PR. It’s Hacktoberfest 2017! A chance to celebrate open source and get contributing. Viewing party for the Universe conference opening keynote talk, socializing and food and drinks provided. Located @ Jubilee lecture theatre on Sussex campus. First of a series of monthly meetups happening at the University of Sussex designed to get students together, talking about different topics. The very first GitHub community in Baja ¡Cimadev! GIT enables developers to collaborate, review, and manage code for their projects. The talk will cover topics from the basic concepts of version control to fundamental GIT commands to collaborating effectively on code with other developers. This widely used source code management system is something developers cannot imagine living without and although every team’s workflow is unique, some best practices hold true. In the October of 2017, the famous Hacktoberfest promoted by GitHub and DigitalOcean, was a success in number of Pull Requests and new Collaborators. We made a Hackaton in Brasília, reuning more than 50 attendees, A lot of Pull Requests made, a lot of swag distributed, a lot of food eaten, and so much fun. This article was origionally posted on www.elliotblackburn.com. A full day workshop on Internet Of Things, Ruby on Rails, Getting started with Arduino. It was mostly a talk event presented by some IT professionals of Mindfire Solutions. An idea based hackathon conducted for new fresher students as a technical event for their orientation program. Since they were freshers, we conducted the hackathon mostly on the idea part rather than coding. An introductory workshop of git & GitHub conducted for fresher students as a technical event for their orientation program. It mostly consisted of basic terminologies and commands they need while using git. Delivered a workshop on intro to version control for students and hackers at Polytechnique’s hackathon, Hackatown, in Montreal. The workshop went through a brief history of version control, how to get started, the various clients available and covered topics like repositories, branches, commits, and more! Developed a tutorial for Local Hack Day 2016 for students to build a plugin for the Atom editor. An open source script for windows 10 with purpose of tweaking your windows install by removing stuff like windows apps _ Cortana _ Edge, you can also tweak the personalization settings that are hidden and almost everything have a restore option.